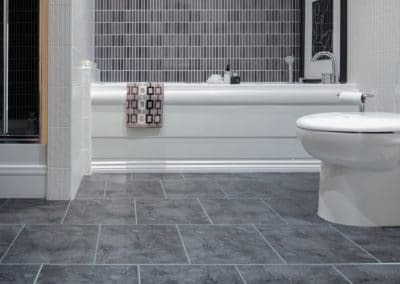 If you’re selecting flooring for a kitchen or bathroom where cleaning and washing is a paramount concern or you’ve a floor that’s subject to constant traffic, then a quality vinyl flooring could well provide the answer. 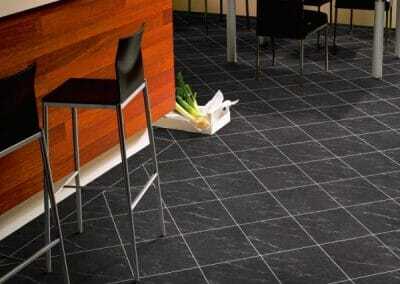 Long gone are the halcyon days of the humble ‘lino’, plastic vinyl flooring has today changed beyond recognition. It exudes quality and design finesse and it’s tough too, very tough. 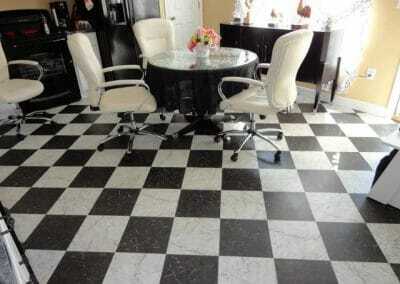 A sandwich of multiple layers making it stay-clean, antibacterial, even anti-slip, vinyl flooring is clever stuff. And you’ve lots of choice too. Wood effect, tile effect, wonderfully textured, in a multitude of different designs and colours. Pop in and see. 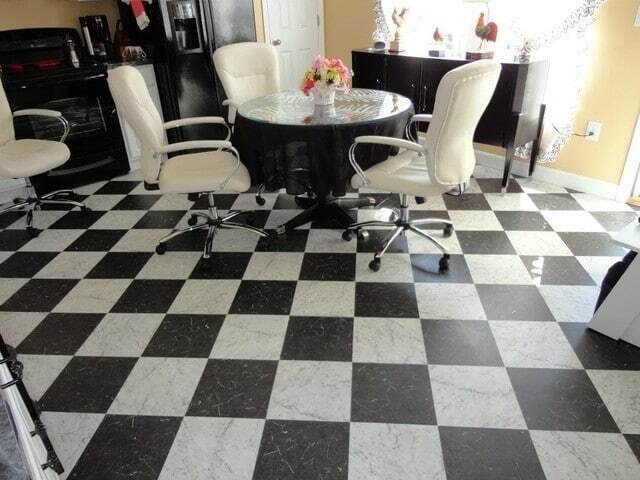 Of course, the secret to really perfect vinyl flooring is the floor that lies beneath. So, at Phillip Morris Carpet Specialists, we take great care to make sure it’s right. If floorboards are uneven then we’ll lay down hardboard or plywood first. If it’s a rough concrete floor then we’ll skim it with latex. 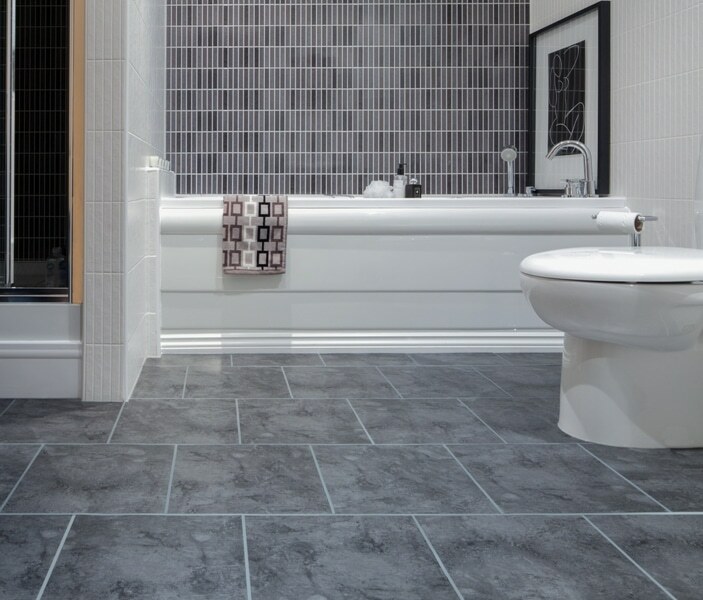 Vinyl flooring recreates the look of many floor coverings from woods, ceramics, slate, mosaic and marble to name but a few. 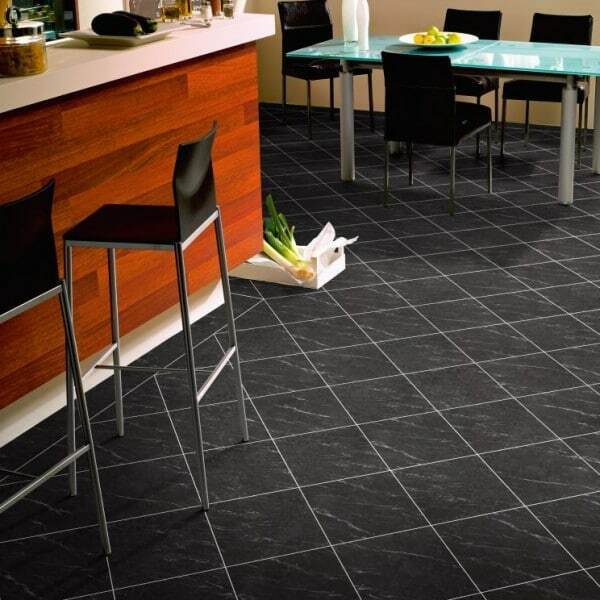 This hard wearing and adaptable product can be installed in any room in the house and in some contract locations.